UCCS Club Lacrosse is embarking on its second full season as a club sport this spring. 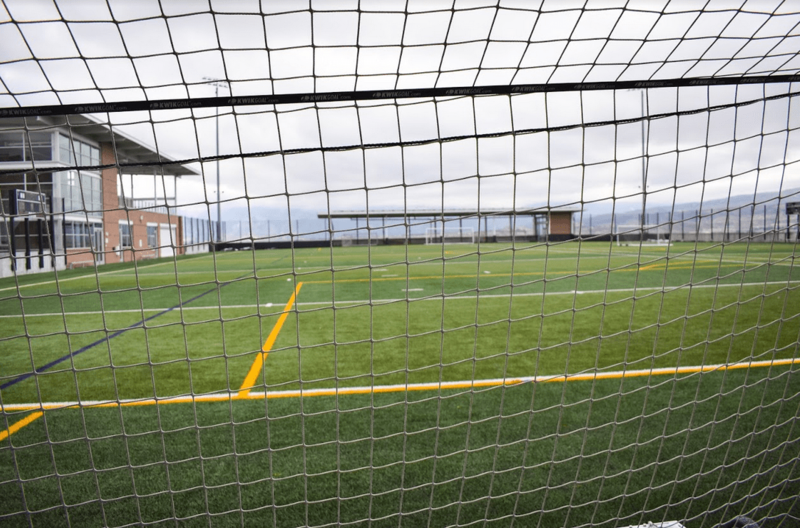 Club Lacrosse’s season starts in the spring, but participate in scrimmages during the fall according to vice-president and UCCS senior Carlos Cruz. Club Lacrosse plays all of their home games at Alpine Field, usually on Fridays or Saturdays. Cruz said that there are currently 21 players on the team, of which 15 are returning players, which is about the same amount that the club had last year. Lacrosse requires about $500 from each player. According to Cruz, the $500 that lacrosse collects is cheaper than other club sports, and has been used to recruit players for the club. “The club started around spring semester, but it wasn’t really a full team yet,” said Cruz. Cruz wanted to play lacrosse growing up, but never had the chance due to where he grew up on the east coast. Lacrosse has helped Cruz maintain his life-long participation in sports. The club is working on establishing a practice schedule. “There’s so many club teams out there, and we’re still trying to get everything figured out for the team,” said Cruz. The current plans are for three practices a week on Monday, Wednesday and Friday. “Three days a week to make it so if you can’t make one, you can at least make two of them because classes are really important for us,” said Cruz. Cruz compares lacrosse to baseball, hockey and soccer because of how play, positions and equipment are similar to the three other sports. “Position-wise and how it flows, it’s really similar to soccer and hockey mixed. You have three defenders, three attack-men, and three midfielders,” said Cruz. He said that the game is easy to learn and is even easier with experience in the three sports lacrosse shares elements with. Cruz said the equipment can be expensive, but places in town offer deals on equipment. Cruz credits Club Lacrosse president Patrick McKinney, who is a senior majoring in accounting, for how smoothly the club operates. McKinney was unavailable for comment. For more information on UCCS Club Lacrosse, feel free to email club president Patrick McKinney at pmckinne@uccs.edu or club vice-president Carlos Cruz at ccruz2@uccs.edu.